This stunning video was recorded between April 4th and 11th in 2011, and it comes from TSO Photography. It is an assembled footage taken from Spain’s highest mountain, El Teide, which is about 3,718 meters high. Since it is so high, it is mainly considered to be one of the best places to photograph the stars. It is also home to one of the most famous observatories, the Teide Observatory. 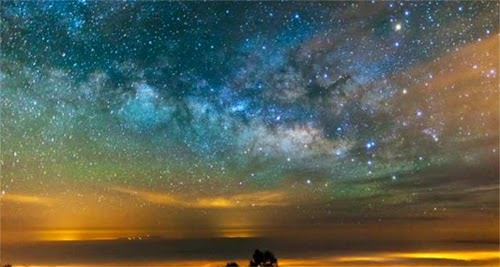 The video was produced by Terje Sørgjerd, of Norway, and Sørgjerd says that taking this footage was no easy undertaking, “The goal was to capture the beautiful Milky Way galaxy along with one of the most amazing mountains I know El Teide. I have to say this was one of the most exhausting trips I have done. There was a lot of hiking at high altitudes and probably less than 10 hours of sleep in total for the whole week.” If carrying all of this gear wasn’t enough, Sørgjerd also had to face off alongside sand storms. Watch the amazing video below.